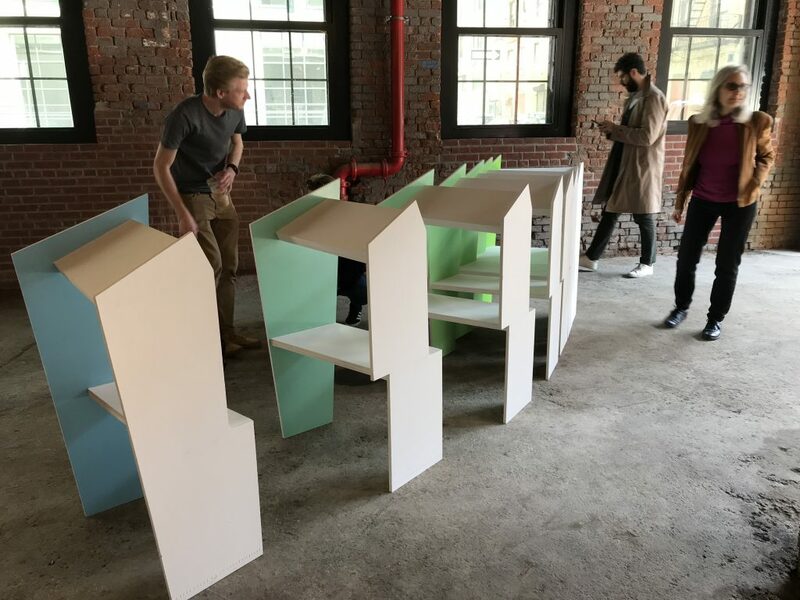 As an architecture studio based in DUMBO, with many projects completed and underway throughout Brooklyn, we are constantly inspired by the artists and designers in our community. 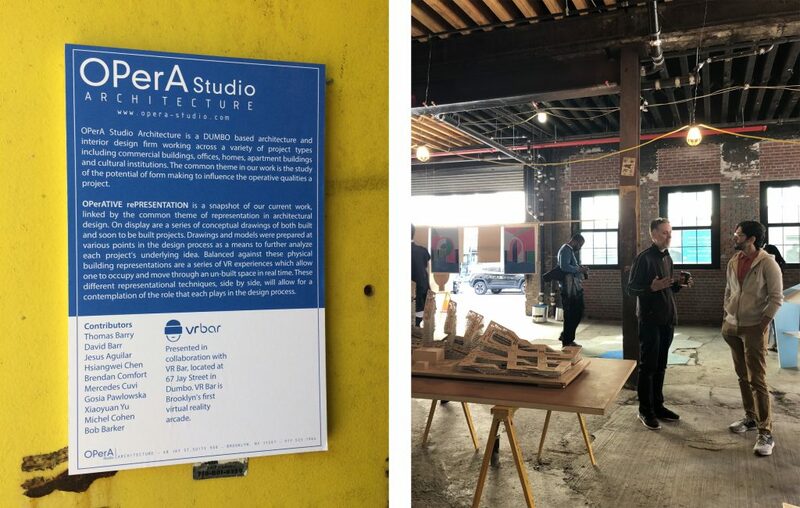 Preparing a pop-up exhibition for this year’s DUMBO open studios was a great way to share some of our current work with neighbors as well as visitors to our corner of New York City. Titled “OPerAtive Representation,” the exhibition gave us an opportunity to explore various forms of representation in architectural design. For buildings not yet built, representation is necessary to communicate ideas to our clients, contractors, builders, and fellow designers. This takes on many forms depending on the phase of the project and the intended audience or purpose of communication. For example, the format of a construction drawing is the essential language necessary to carry out the realization of a building. 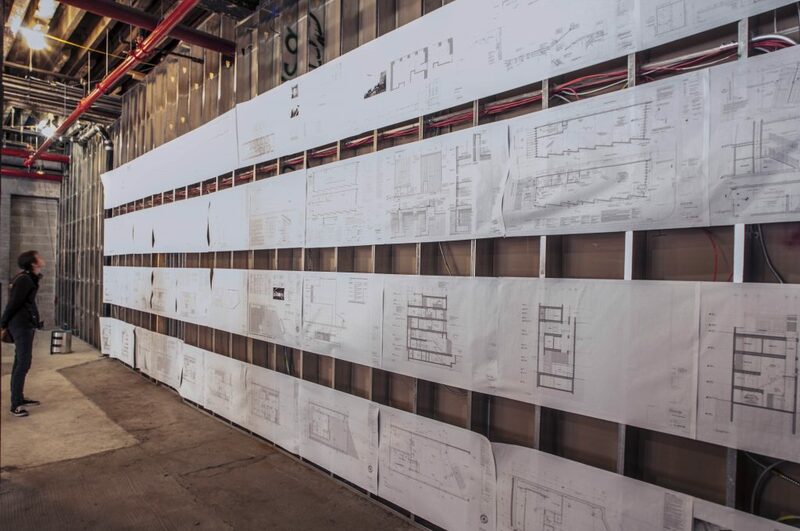 Featured on the back wall of our exhibition space, these drawings are highly detailed and precise, ruled by a hierarchy of corresponding notes, symbols, and industry conventions meant to facilitate understanding between builder and architect. They rarely use color, but rely on line weights, dimensions, and annotations to communicate scale, materials, and spatial organization. 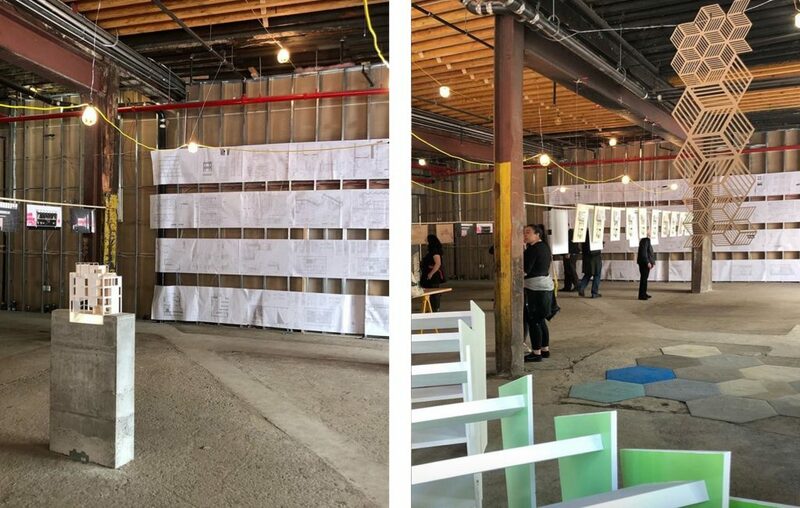 A contrast to the stark construction drawings was provided by a series of conceptual drawings and collages hung from steel beams in the middle of the space. These artistic interpretations of our projects are useful to communicate the concepts behind our designs. 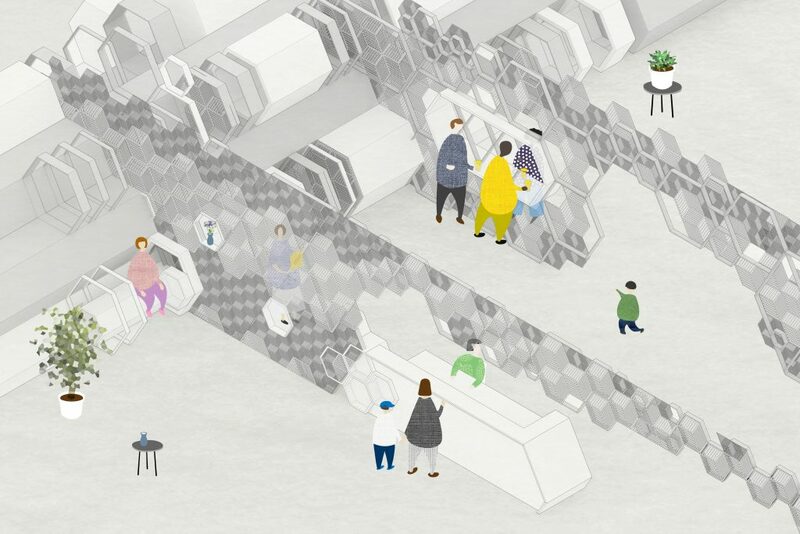 Far from being realistic renderings of a building or space, the drawings each focus on a specific set of ideas embedded within a projects organization, formal or spatial composition, geometry, or embedded systems. Freed from the precision of exact dimensions and conventional formatting, collages and renderings are often colorful and abstract to explore the possibilities of a project. 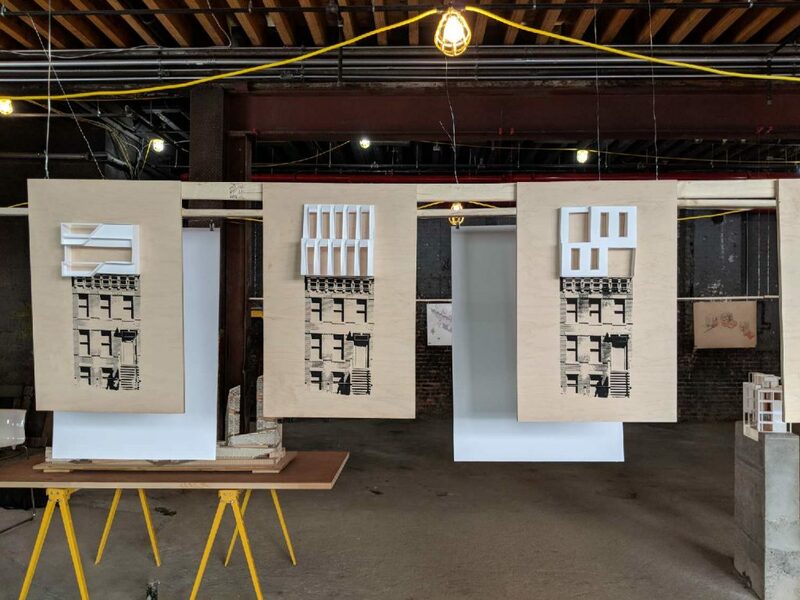 One series of representations on display provided us an opportunity to analyze a particular building type: the vertical addition to existing townhouses. Weve been working with this typology on multiple sites, and it involves particular zoning, code, and structural issues as the buildings are converted into multi-unit residential properties. Many of these projects are under construction, completed, or in the design phase, and the examples on display in the series represent both actualized designs and conceptual ones that never made it past the drawing board. Adding another layer of dimension, these collages feature paper models mounted on a screen-printed template of a typical Brooklyn townhouse. Seeing them in a series in this format allowed for an assessment of our own work within the studio after several years of study. 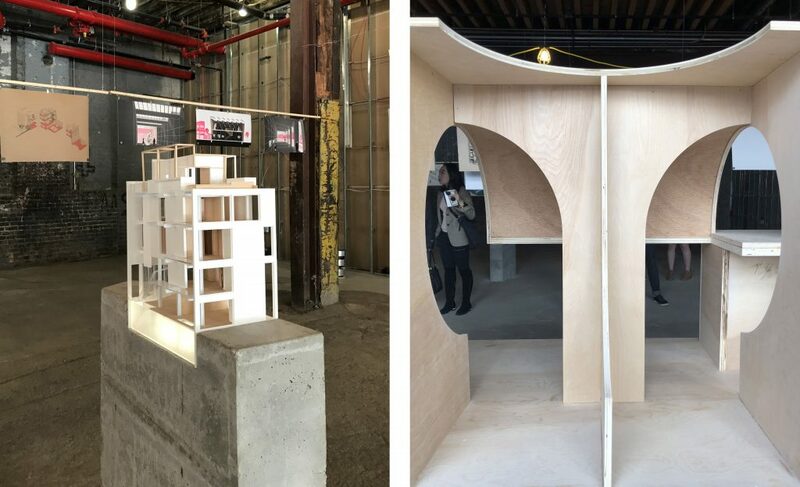 A highlight of the exhibition were several large-scale models that we were able to build for the space- a new CNC-milled model of the Tribeca Pediatrics Greene project, and a constructed abstraction of the modular Red Hook Gallery. 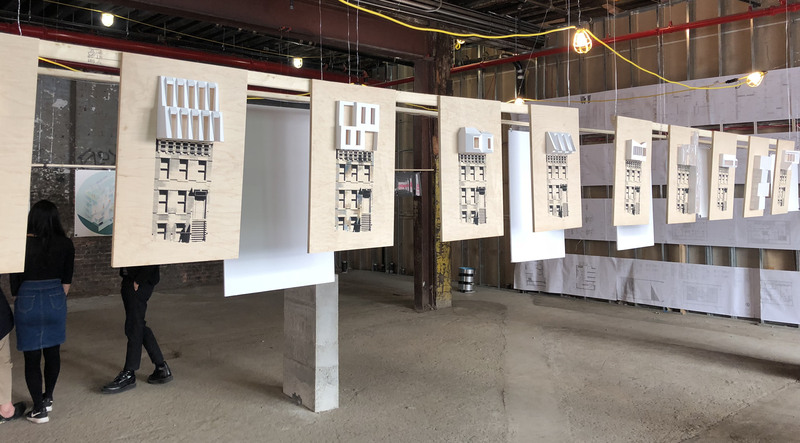 These were shown alongside a smaller scale model of the Prospect Heights Townhouse, and our proposal for Atlantic Yards. It was fun to see how visitors could interact with these models from different angles, experiencing the project in three dimensions. Lastly, we provided a virtual reality experience of several projects. 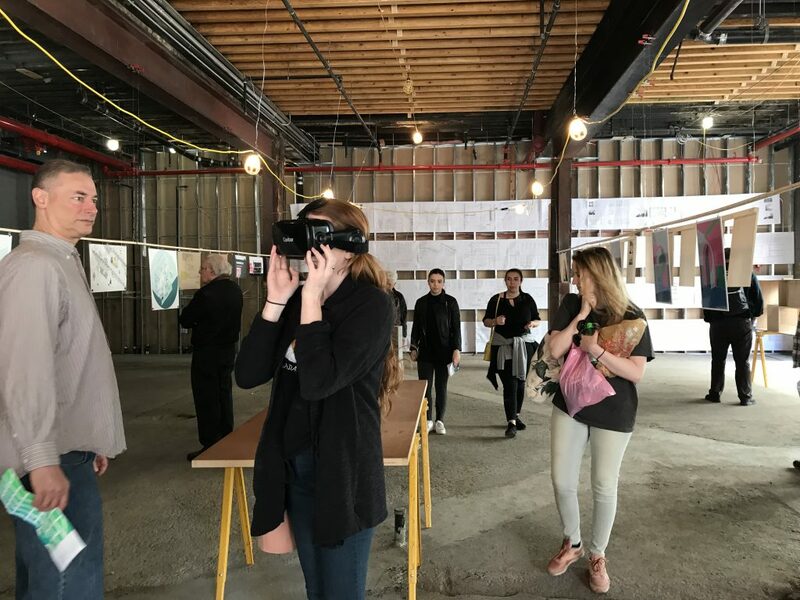 VR is becoming increasingly popular in architecture as a representative tool that can fully immerse the viewer in a building before it exists. This is particularly useful to show clients what their future space will feel like, without the barrier of understanding that comes with certain plan and section drawings. 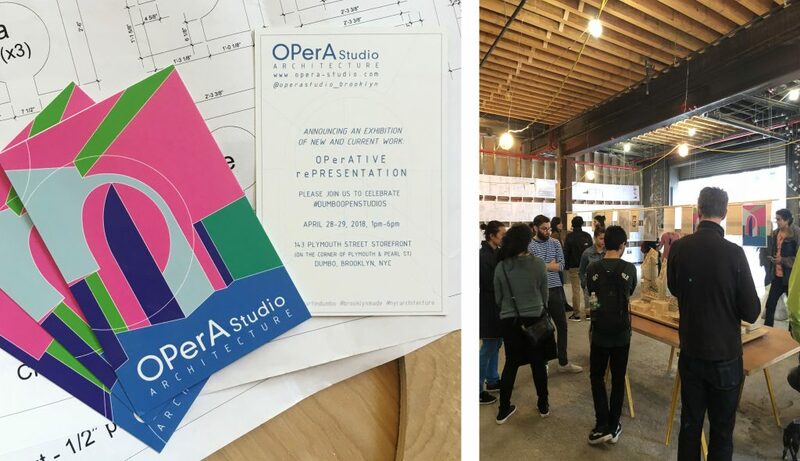 We were happy to see so many guests at our exhibition, and look forward to the next steps for all of the current projects represented here, as they are moving from drawing and model into completed construction.